Thank you for visiting our College website. Having worked at the College since January 2013, I am immensely proud to have been appointed Executive Headteacher of this excellent organisation. Haybrook College Trust is committed to supporting the education and personal development of young people with complex social and emotional needs in Slough and surrounding areas. 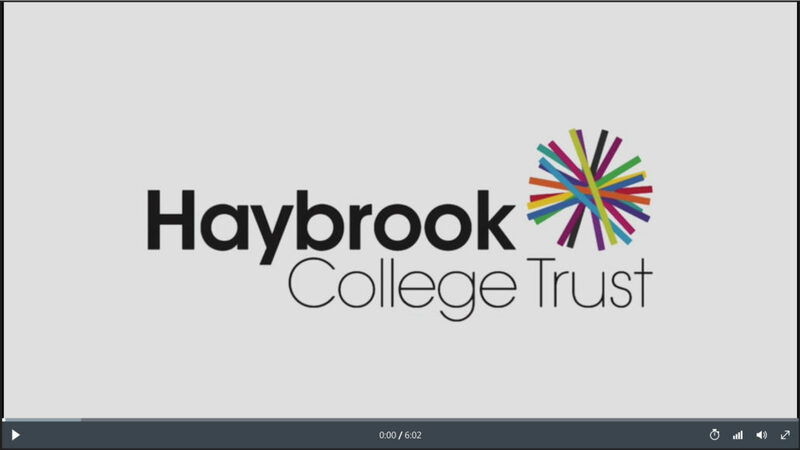 Haybrook College Trust offers students personalised teaching and learning pathways that will allow them to achieve both academically and socially; we want them to be and to feel like valued members of society. An important part of this is for our young people to move on to further education courses of study and to secure employment that matches their needs and skill sets. The most important aim for the College is to equip all students with the qualifications and skills needed to progress in their education and/or gain employment upon leaving the College. We are extremely proud of our record on this front. Haybrook College Trust comprises a small special school called Millside School, a Pupil Referral Unit, which offers five unique programmes at KS4, as well as a range of ‘revolving door’ provisions at KS3 that have proven to be highly successful in supporting young people to maintain their place at or return to mainstream schools. Since September 2013 we have also provided a Post 16 provision called The Gateway through an innovative collaboration with Slough Pitstop Project charity. This has also ensured that we are in a position to offer a range of vocational courses in Motor Vehicle and Construction, as well as hospitality and catering at our highly successful provision Kitchen Craft. Young people from local schools can also access this provision and have benefited greatly from this vocational pathway. The day to day running of each centre or programme is managed by a Head of Centre, who ensures that each student receives excellent care, guidance and support to achieve their full potential. In turn, our Heads of Centre are supported by members of the senior leadership team and the College has an overarching Management Committee chaired by Dave Tottingham. The Management Committee, alongside the senior leadership of the College, has responsibility for leading the overall strategic direction and ensuring that a consistently high standard of education takes place for all students. We are very proud of what we have achieved at Haybrook College Trust, which goes a long way to ensuring that Slough’s young people with additional needs are educated in Slough. If you would like to know anything more about us please do look at the information on our website or contact Suzanne Green on 01628 696075. What does it mean to be a Sports Coach Mentor at Haybrook College?